Preheat is used when a base material, due to its chemical composition, thickness or level or restraint, is susceptible to cold cracking. Knowing what temperature to preheat your base metal is sometimes a complicated matter. You may hear people say “preheat to 300F to be safe.” The reality is that 300F may be playing it safe, but sometimes may not be enough. So should we go up to 400F or even 500F if we are not sure? The answer is still not as easy as you think. There is a cost to preheating. And in most cases preheating to 300F will costs you more than double that of preheating to 150F. 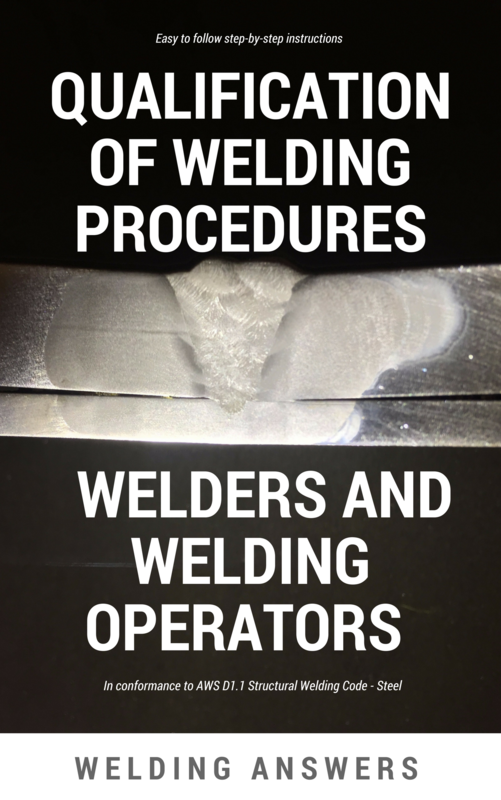 The best thing to do is to determine the adequate preheat temperature for the base metal you are welding. This way you will make sure you are not heating excessively and incurring unnecessary costs. At the same time you assure that you will not run into cracking problems caused by rapid cooling if your preheat is too low. There are many ways to come up with your preheat temperature. Below are 5 frequently used and trustworthy methods. Beware of some online calculators, especially the ones that do not show you their formulas for computing the results. This is probably the fastest and easiest way to get the a value for your preheat temperature. The only drawback is that some manufacturers may at times play it too safe. A preheat of 250F may be recommended when 150F would do. This is a safe approach, but it would serve you well to look at one or two other ways to calculate the preheat temperature to make sure you are not adding unnecessary costs to your operation. Not all manufacturers will publish information with this level of detail. But it is always worth checking the steel manufacturer’s website or published information. One good thing about metallurgy is that the basic principles don’t change. The same methods that worked 50 years ago for determining preheat still work today. If you are able to get your hands on a slide rule calculator for preheat you are in luck. These calculators are excellent as long as you have the chemical makeup of the steel you are welding on. If you don’t have an MTR for your steel you can use the typical chemistry for that material. 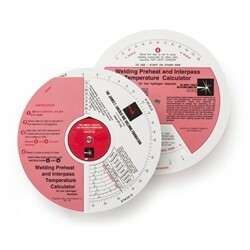 Lincoln Electric’s Welding Preheat and Interpass Temperature Calculator is still available today. Always read all the notes and instructions that come with these tools. In the case of the calculator shown above, all values are good only if you are using a low hydrogen process. AWS D1.1 Structural Welding Code (Steel) publishes required preheat and interpass temperature charts for steels that may be used with Prequalified Welding Procedure Specifications. This is a very simple method, provided you own a copy of the code book. The drawback here is that not all steels are prequalified so not all steels are listed. AWS D1.1 deals with structural steels with minimum tensile strength of up to 100Ksi. So steels beyond that strength level will not appear here. These values are also conservative. So if you use other methods you may find that you are able to reduce the required preheat temperature. In addition to Table 3.3, AWS D1.1 provides two additional methods to determine preheat. These methods are 1) Heat Affected Zone (HAZ) Control Method, and 2) Hydrogen Control Method. 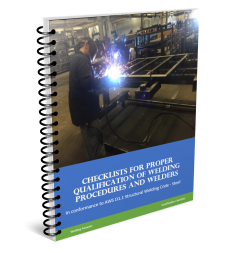 Specific instruction can be found in Annex H of AWS D1.1/D1.1M:2015 Structural Welding Code – Steel. The HAZ control method is applicable only to fillet welds according to AWS D1.1. It works on the assumption that if the cooling rate is reduced below a critical value the hardness levels will not be high enough to facility cracking. This cooling rate is not the same for all materials, but rather depends on the hardenability of the steel. The critical cooling rate for a specific material at which cracking becomes a problem is related to the carbon equivalent (CE) of the steel in question. 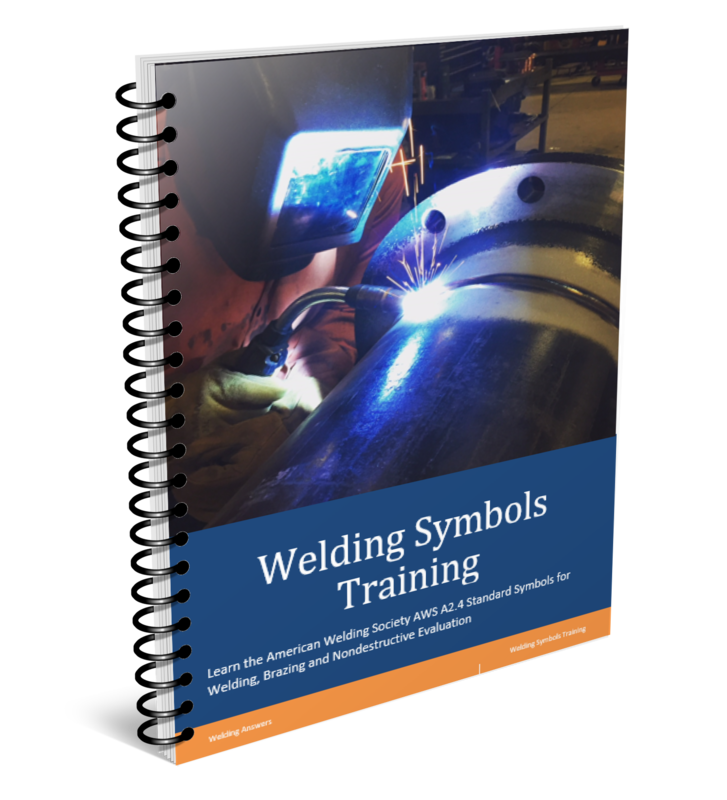 This methods requires you to have the chemical composition of your steel so you can calculate the CE and then determine if preheat is necessary or if you can simply use a high enough heat input when welding to satisfy the cooling rate requirements. Rapid cooling can cause martensite to form which is susceptible to cold cracking. The Hydrogen Control Method, also detailed in Annex H of AWS D1.1, is based on the assumption that cracking will not occur if the level of hydrogen in the deposited weld metal is below a certain value. This value, as with the HAZ Method, is different for different steels. Other factors taken into account are the composition of the steel and the level of restraint. The level of restraint will be high, medium or low and it is determined based on experience. For more informaiton on hydrogen-induced cracking click here. The hydrogen control method is especially useful when dealing with high strength, low alloy steels with high hardenability. One important thing to keep in mind is that this method assumes that the steel will reach maximum hardenability, so the value calculated for preheat may be too conservative (too high) for low carbon steels. To see how these methods can vary we determined the necessary preheat for making a fillet weld on two 1.75-inch thick ASTM A572 Gr 50 plates. Manufacturer’s recommendation: Arcelor Mittal states that for their ASTM A572 Grade 50 (BethStar® 50) no preheat is necessary when the steel’s initial temperature is 0F or above. HAZ Hardness Control Method: No preheat necessary as long as the heat input from welding is at least 56 KJ/in for a single pass. In this case this it is calculated assuming we are using the GMAW process. Although this is a very high heat input it is still doable. A procedure running 320 amps, 29V and traveling at 10 in/min will provide this heat input. The limitation will be the position. It may not be a problem in the 1F position, but going to the 2F (horizontal) position may start creating problems. Vertical and overhead are not possible at this heat input. If the heat input is not realistic then the recommendation given is to go with the Hydrogen Control Method. Hydrogen Control Method: 200F assuming a low level of restraint. Remember that the hydrogen control method assumes maximum hardenability is achieved. This would happen if you run a very low heat input process and experience extremely rapid cooling. As you can see you get varying results, from no preheat to as much as 200F. There is a significant difference in cost going from no preheat to 200F. If you go with a prequalified welding procedure you must use 150F per AWS D1.1. So instead of saving a few bucks in the qualification process and using a prequalified WPS, you may decide to do qualification by testing to prove out a procedure that does not require preheat. It is a balancing act so always use good judgement. I enjoyed your write up. Thanks. I think it would be good to include a little more about the interpass temperature. To help me understand about this I remember an old welding engineer use to tell me that an preheat is a minimum temperature but an interpass temperature is a maximum temperature. I noticed in your write up you did state that the preheat may be larger. Please consider adding something about interpass. thanx Maybe you already have done this but I have not seen it. Pardon my comments if you have. Hello Larry. You are correct. In some materials we do not want to exceed a certain interpass temperature. This is also true of the preheat, but since the preheat is applied and not a produced by the welding arc it is much easier to control. Some materials will experience transformation at elevated temperatures. In other cases we are trying to avoid a loss of harndess. The higher the interpass temperature the slower the cooling rate. We’ll definitely get an article out on this topic soon. Thanks for your comments and questions. What the welding engineer said is partly true. Interpass temperature sometimes has a maximum. But whenever a preheat is required the interpass temperature will ALWAYS have a minimum which would be equal to the preheat temperature.